Cleaning the fridge is a chore most people dread. Do you want it to be easier? I have the tool for you. 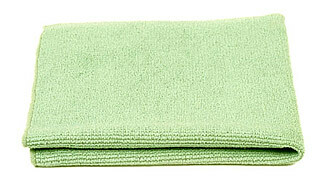 It is the Norwex Kitchen Scrub cloth! You know how spills in the fridge dry up or condense? Milk, syrop, soy sauce, meat drippings, yogurt, a variety of leftovers all make a nasty mess in the fridge. 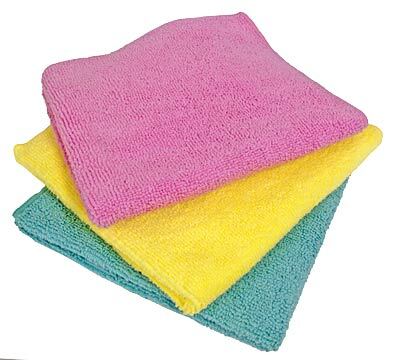 The Norwex Kitchen Scrub cloth RIPS through them all with the least amount of effort. Follow up with an envirocloth and your fridge is clean very quickly. I cleaned our fridge with the Kitchen Scrub Cloth today (because it’s grocery day and it was pretty empty!) and it was so quick and easy to clean. Best thing? No chemicals required! Just hot water! I have been using Blue Diamond for a few months now and guess what? 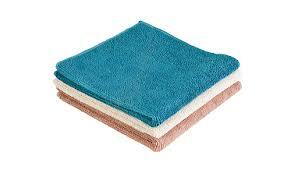 I am finding that it is improving the condition of my microfiber! Let me explain. Where I live, we have hard water. Hard water is the bane of microfiber. It literally makes the microfiber stiff and repel water. Hard water causing repelling is awful because we know that microfiber is actually very absorbent and can hold 7x its weight of water. You may not know the Norwex saying, “You clean with microfiber and water but you clean microfiber with detergent.” I am finding that cleaning my microfiber with Blue Diamond is refreshing and restoring my microfiber! Yay! I’m so tickled pink about it! I highly suggest all customers, especially in hard water locations, buy Blue Diamond to help extend the life and functionality of their microfiber. Do you know someone who gets dry hands? For me, I think it is the combination of -20C, indoor heating, and dishwashing that is drying out my hands and making them feel like sandpaper. 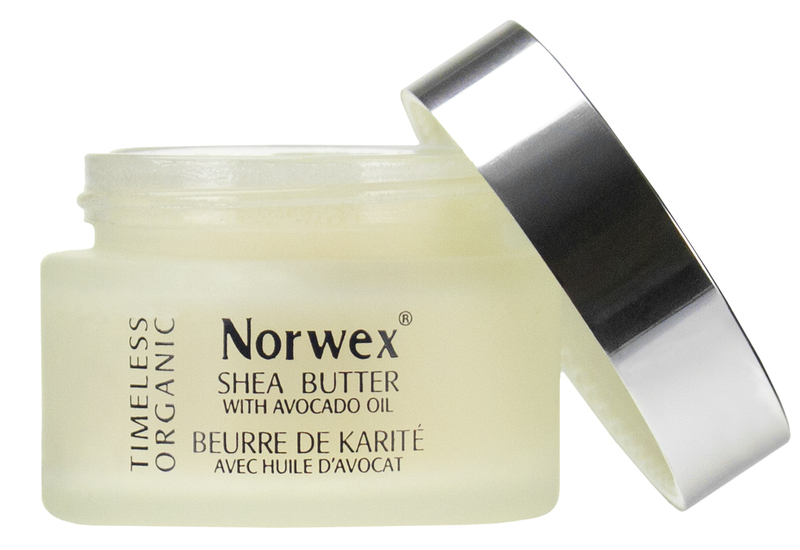 I finally got some of the new Norwex Shea Butter and I’m really impressed with it! I chose the shea butter, knowing my hands needed some serious restoration. I put some on last night and even after all I’ve done today my hands still feel they have retained their moisture and are still soft. My knuckles are the only place I will touch up this evening. Treat your family to some shea butter therapy. It will make a great stocking stuffer! I bought some bacon at the farmers market yesterday. We had bacon this morning – Mmmm! I like mine crunchy. Well, you know bacon. It splatters a lot. The stove was covered with little bitty grease splashes. Are you thinking, ugh what a mess to clean up? Not so my friends! I have Norwex! I just took my damp Norwex Kitchen Cloth and wiped the stove top and the back control panel and it picked up that bacon grease like nothing. Wipe, wipe, wipe, I’m done and here blogging with ya! Oh, and did I tell you I waited until the stove was cold? Yup, still not a problem! Now, off to mow the lawn. Take care! Note: The Kitchen Cloth Set (in beige, olive green, and taupe) has been recently discontinued but no worries – you can use either the new kitchen cloths (salmon or blue) or the envirocloth (red, blue, yellow or green) and still get the same great results! It’s a little thing really. I value a clean dining table. Before Norwex, I didn’t wipe my dining table as much because I felt I needed a chemical like dish soap or an All Purpose Spray to clean it properly but I didn’t want to haul it out because it felt like work – zealous work. 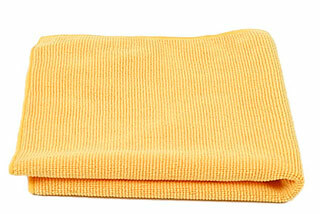 Now, after supper, I run my envirocloth under some hot water, walk over to the table, wipe it off and the job is done. 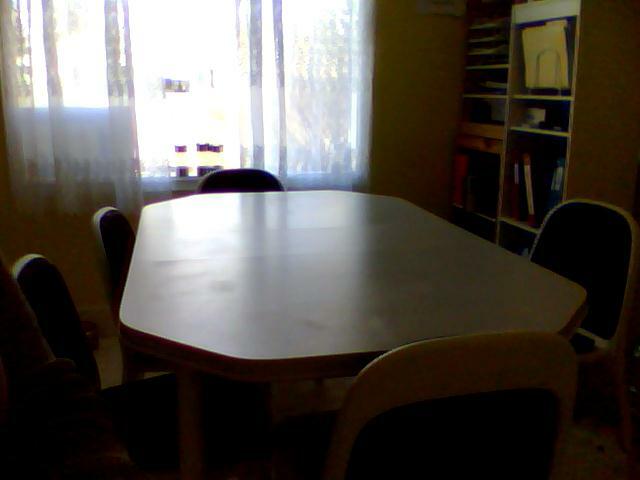 The table is clean, it is not wet, and it looks great. I love looking at a clean table. It’s a little thing but it is another way that Norwex has improved my quality of life. When I first became a Norwex consultant, I got the Foam Soap to try it out. At that same time, my youngest son was dealing with warts on his fingers. We had done the Compound W treatments over and over and weren’t successful. When I was mustering up for another round of Compound W and a 3 year old, I went to check his fingers and his warts were all gone! I firmly attribute it to the Norwex foam soap ingredients and the ease of washing his hands with the Norwex Foam Soap. That’s my testimonial of the Foam Soap. 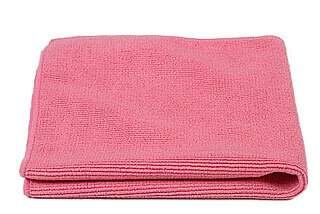 I wish you could have seen my child’s face when he used the Norwex Kids Bath Towel for the first time. The amazed look in his eyes as he said “It’s so gentle!” The Norwex Kids Bath Towel is so soft that your child will feel extra loved by its softness! Get one for your child or grandchild or any child! It was so worth it for me to see that face! The Norwex Envirocloth is the most used product in my home. I am a stay-at-home mom and I am constantly cleaning up other little people’s messes. Whether it is milk on the table from someone blowing bubbles with their straw even when I’ve told them not to or wiping up mac and cheese off the floor because someone is learning to use a spoon my envirocloth is on the go all day long. The attribute I love the most about my Envirocloth is that it lifts. It lifts goop. Before I owned an Envirocloth, I remember looking at the goop building up on my dish rack tray. I remember thinking, I don’t want to add chemicals to this and just kill it and leave it on there. I want something that will actually lift this off and take it away. I am so happy I found something that will lift the goop! I remember the day I realized that my kitchen table looked brand new because the Envirocloth had lifted the layer of whatever it was that was making my table look dirty and old. Every time I wipe my counter after doing dishes I get the same thought of how unused or unworn my countertop looks. I used to buy the big 6 packs of paper towel. Since owning an Envirocloth, that 6 pack of paper towel lasted 3 years! I can’t help but wonder what an impact it would make if every household had just one Envirocloth in their kitchen. The Norwex Envirocloth is warrantied for 2 years but has been lasting customers longer than that, but for 2 years, that’s only 2 cents a day! If you use it as much as I do, you will get your money’s worth in no time! 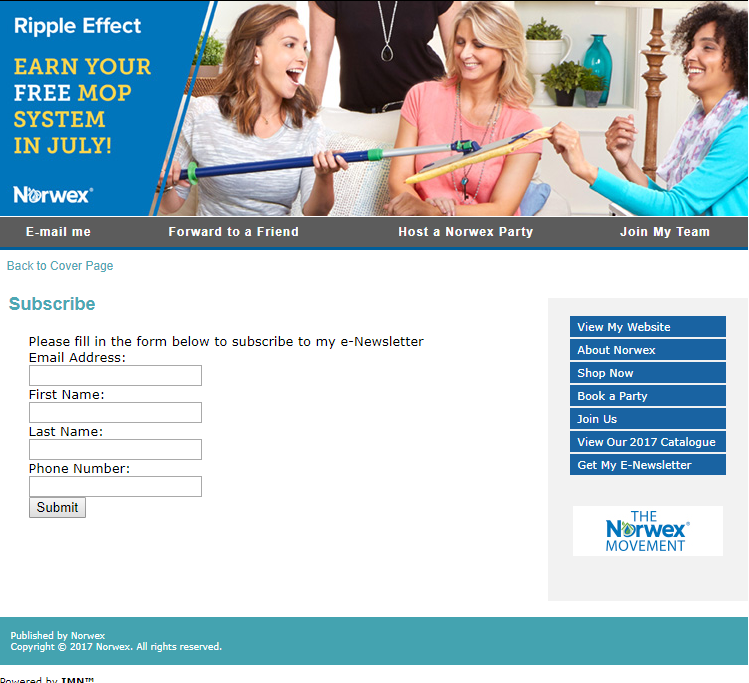 The Norwex toilet bowl cleaner is called the Sanira System in the catalogue. It has an ingenious method for dispensing the toilet bowl solution! The bag of solution sits in the bottom of the toilet brush holder. When you push down on the handle, the solution comes up the inside of the brush to the holes at the top of the bristles. The solution then runs down the bristles. You don’t have to use tons like regular toilet bowl cleaner. In fact, you only need about 4ml and therefore the solution lasts about a year! Once you have the system, all you need is the refills which are $19.99. The price may make you gasp but I’ve learned that a product that actually gets used is worth it. Even better, if it lasts a long time, I am not constantly running out to get more. The cleaning solution is vegetable based with coconut oil and a naturally occurring sugar surfactant. It smells really nice! It breaks down within 48 hours compared to other solutions that need at least 30 days. The brush does not contain any metal parts. Again, like the dishcloth and the body pack, I never realized how much I needed this product until I got it and started using it. That’s the crazy thing about Norwex. It makes you excited about cleaning! Here I am blogging about toilet bowl cleaners! One of the three things I bought at the Norwex Party I went to (where I signed up to be a consultant) was the Body Pack. 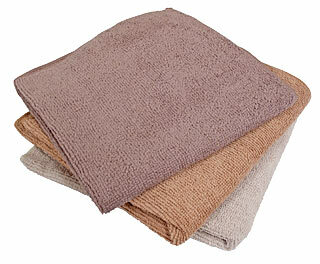 The Body Pack is a set of 3 microfiber facecloths. I was looking for a sting-free way to remove the waterproof mascara that I wore. When the Norwex consultant told me that these facecloths could remove waterproof mascara with only water, I literally threw my hands up in the air!! I was getting them no matter what! I admit I was one of those women who had the residue mascara look. I refused to buy chemical makeup removal products that stung my eyes and smelled like toxic waste mingled with perfume. Now though I have a beautiful fresh mascara look because makeup removal is not a problem with the Norwex Body Pack. The bigger benefit though was my skin!! Before I started using the Norwex Body Pack I had the T-Zone oily patches, large pores, with usually one pimple or more. 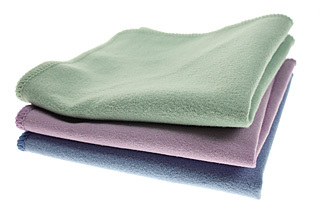 The Norwex microfiber facecloths sucked up the excess oil, cleaned out my pores, and I haven’t had a major pimple like before. 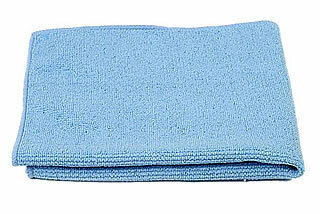 I wash my body pack facecloths once a week in my “Norwex load”. 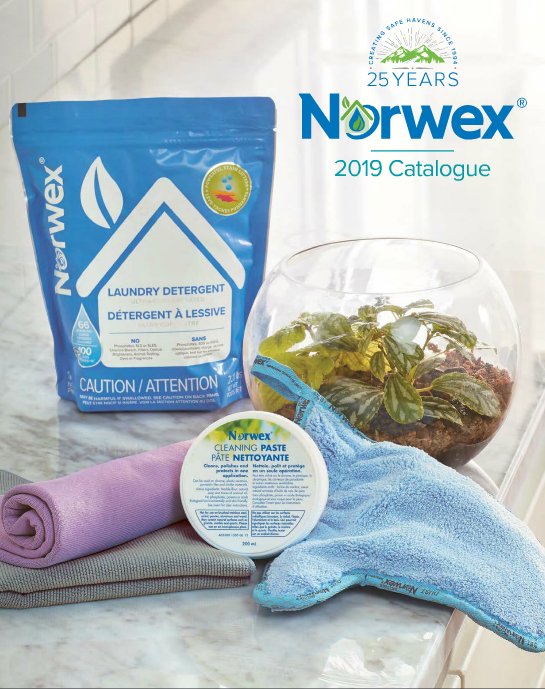 Update – August 2012: Norwex head office is recommending removing makeup first with the Makeup Removal Pack and then cleansing the face with the Body Pack. UPDATE: March 2013 – The Antibac Body Pack – “Natural” are in the 2013 blowout sale which means they will be discontinued.